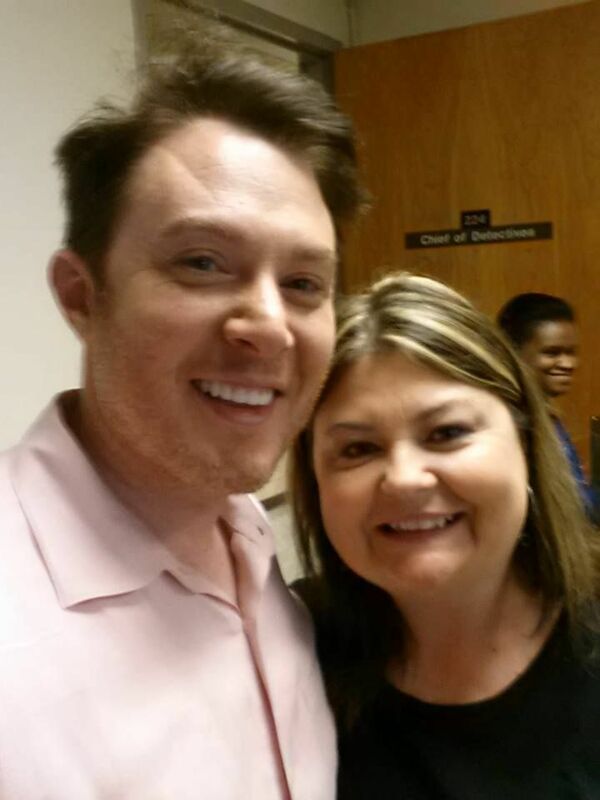 According to social media, Clay Aiken spent some time in Cumberland County on Wednesday. I’m on my way out to have lunch with our next congressman from the 2nd district, clay aiken. please vote for him in November if you live in the 2nd district! Vonna B Viglione: Debbie, I can’t vote for him but I am certainly encouraging family and friends down your way. LOVE him. I hope he doesn’t get offended when people say it’s almost as if “Opie Taylor” grew up and became a Congressman. He’s such a breath of fresh air. He’ll bring civility AND good priorities to Washington. Am SO glad you’re working for him!! I hope the lunch was good and that both Clay and Debbie get lots of votes for Clay!! Another Facebook message was posted with a picture! Jennifer Lea Butler Another great day!!! Vote Clay Aiken in November! — feeling excited. Great day in Fayetteville today! Thanks to Cumberland County Sheriff “Moose” Butler for giving me a tour of his office, and thanks to his great staff for their continued hard work and the interesting tutorial on fingerprinting! 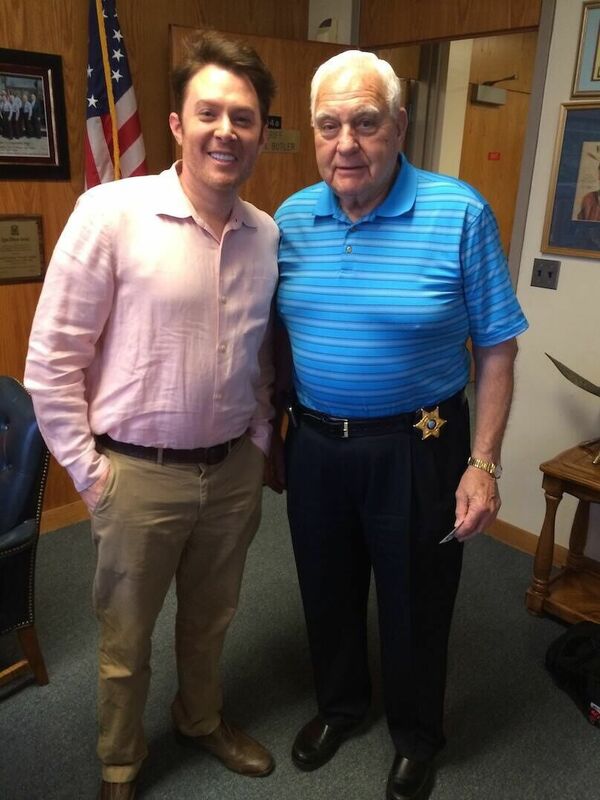 Sheriff Earl “Moose” Butler has served Cumberland County as Sheriff since 1994. Under his leadership the Cumberland County Sheriff’s Office has become one of three accreditated Sheriff’s Offices in the State of North Carolina. The sheriff’s department is in Fayetteville, the county seat of Cumberland County. Fayetteville is best known as the home of Fort Bragg, a major U.S. Army installation north of the city. Here’s a bit of trivia: Recently, Where To Retire magazine named Fayetteville as one of the best places to retire in the US (From Wikipedia). 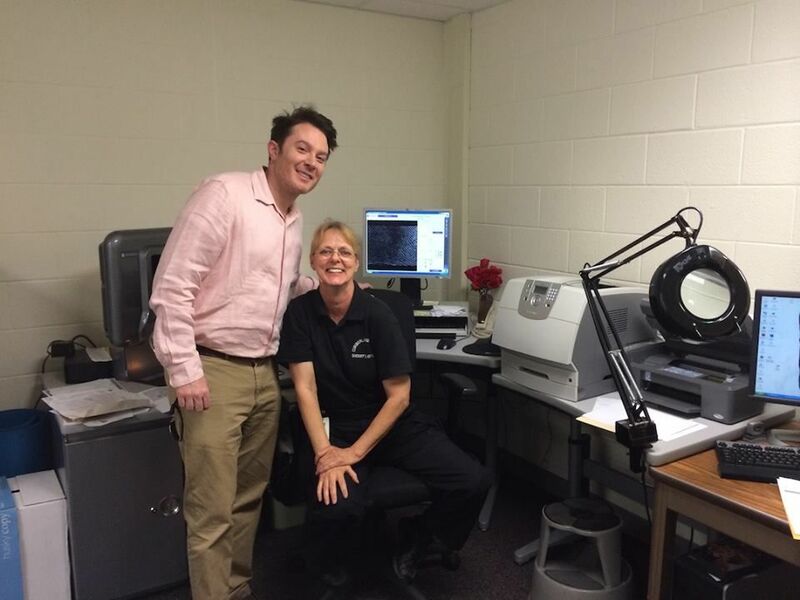 I hope that Clay had fun learning about fingerprinting…and that he was able to reach out to the sheriff and staff. These great people need Clay to represent them in Washington D.C.
As always, if there is headline news during the day, I will post it as soon as I can…so…check in again during the day! The man is on the MOVE! He can take MY fingerprints anytime, lol! Clay for Congress!!!! Thanks Musicfan for bringing over the articles, comments and pics of Clay on the campaign trail. He sure looks like he is enjoying himself. Thanks Musicfan for keeping us up to date. Clay and his team are giving this their all and I wish them all the best as this race continues…..sure hope he gets to debate Ellmers, that would be something worth listening to . Error: Error validating access token: Session has expired on Tuesday, 21-Aug-18 16:13:01 PDT. The current time is Tuesday, 23-Apr-19 17:17:15 PDT.